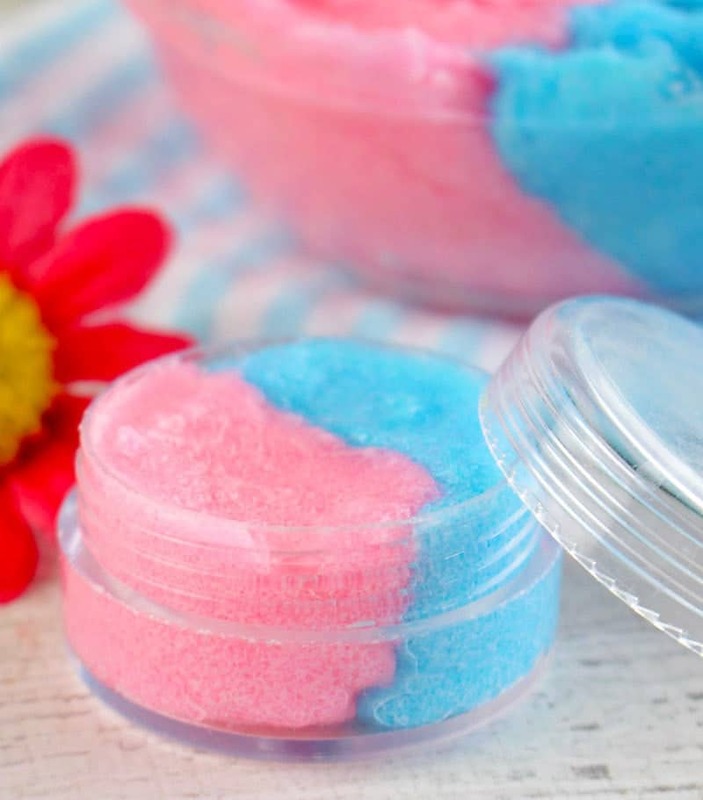 This Cotton Candy Sugar Lip Scrub is an easy and fun DIY for teens and tweens. It’s a perfect activity to keep their little minds and hands busy. With only a week or so left of summer break, we have a few more fun crafts and activities to pack in. Technically, I’m on the fence about my feelings for back to school – I’m looking forward to some peace and quiet during the day so I can get some actual work done, but not looking forward to the early morning wake up times and inevitable homework struggles. 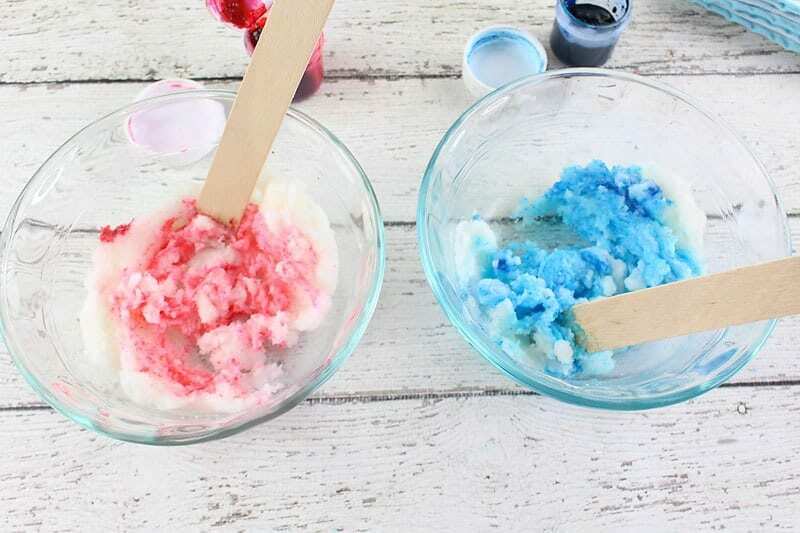 This DIY Lip Scrub project has been on my list of to-dos all summer. I’d ordered these little jars back in May and my lil missy recently reminded me about them. 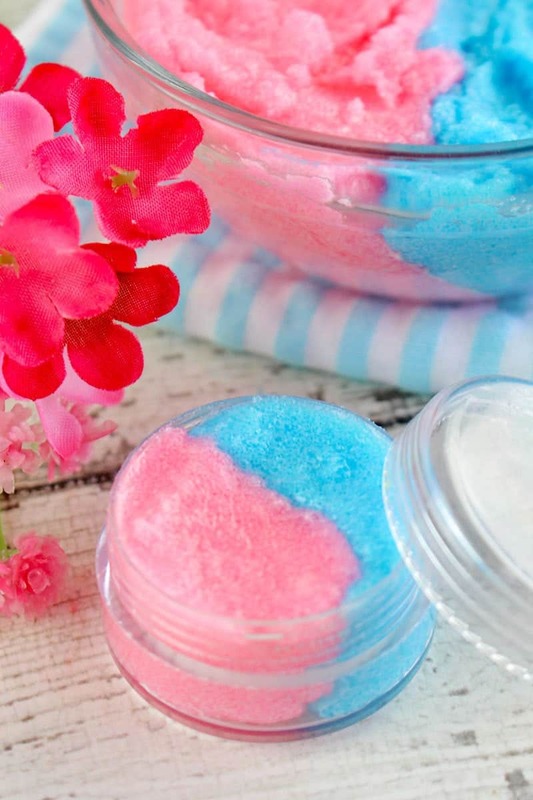 I figured it was the perfect time to try making this Cotton Candy Sugar Lip Scrub. Because what’s better than a little mother/daughter craft project? This particular recipe makes just enough for 3 lip balm containers, which was perfect for us – my daughter and I each kept one and she was able to give one to her best friend too. It would be very easy to make a much larger batch, though, and I think these would make a great party favor for a tween birthday party! 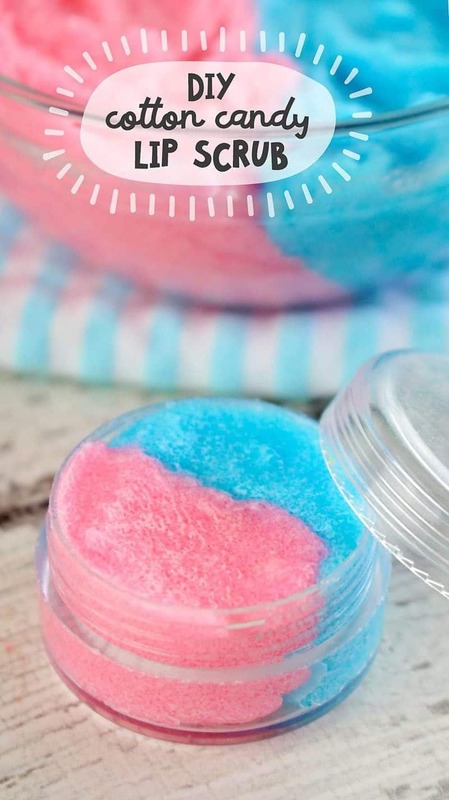 In addition to being fun and easy, this Cotton Candy Sugar Lip Scrub is actually very nourishing for dry, chapped lips. It contains both coconut oil and Vitamin E oil and while I’m sure you know the many benefits of coconut oil, did you know that Vitamin E oil is known for speeding up healing and nourishing skin? It’s one of the main ingredients in healing lip balms like Burt’s Bees! 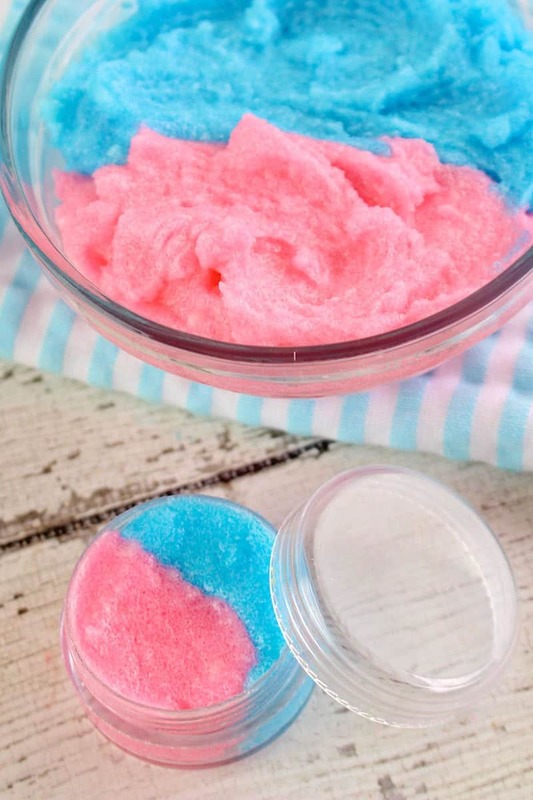 Now is the perfect time to make this Cotton Candy Sugar Lip Scrub and get your lips healthy, smooth and ready for skin. I know we’ll definitely be making it again soon, with different flavors! 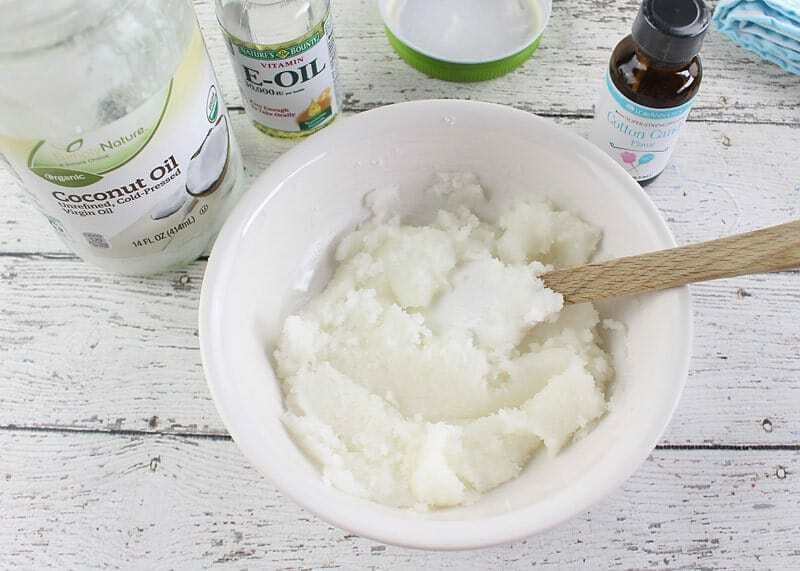 Place the coconut oil and sugar in a small mixing bowl and mix well until blended. Stir in the cotton candy flavoring and vitamin E oil. Divide the mixture in half and place into two separate small bowls. And the pink coloring to the first bowl and stir well until your desired shade of pink is achieved. Add the blue coloring to the remaining bowl and stir until you’ve reached your desired blue shade. 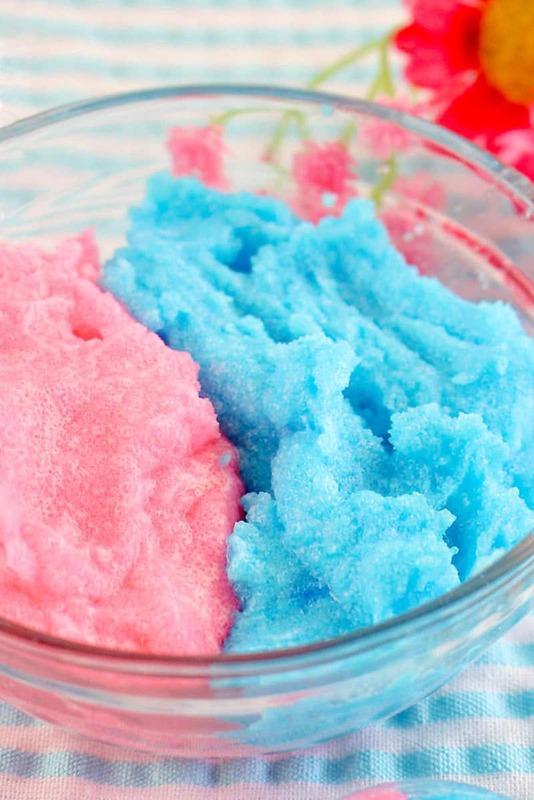 Fill the left side of each airtight container with the blue sugar and the right side with the pink sugar. YUM! This lip scrub tastes so good you will want to lick it off! You can store this lip scrub for up to three months. Wet lips and apply the cotton candy sugar lip scrub. Enjoy the sweet aroma of cotton candy on your lips! Massage lips in a circular motion, allowing the sugar in the scrub to exfoliate and the coconut oil to moisturize. Rinse and pat dry with a towel. Apply your favorite lip balm or moisturizer. « 27+ Free Modern Quilt Block Patterns That Are So Adorable You Will be Excited to Get Quilting!